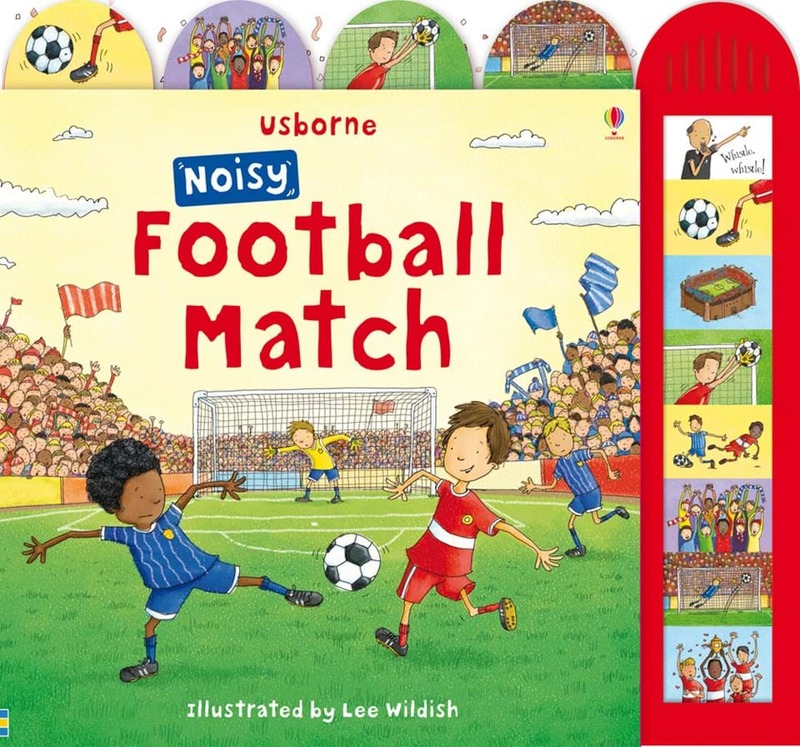 Whenever I am on the prowl for a book about a specific topic I always look at Usborne’s selection first. Why, might you ask…. Because they have an amazing selection of books. They are not only beautiful but well written, engaging and share a wealth of knowledge. 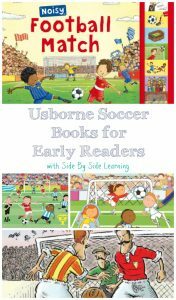 When I began my search for soccer related books I was pleasantly surprised to find a book about the origin of soccer that began in 200BC! Hear the whistle blow. The crowd cheers. Join two teams as they play for the final cup. The pictures are bright, there are simple words and awesome sounds, all make this book wonderful for young readers. Toddlers will love turning these thick, durable pages while pushing all the buttons. 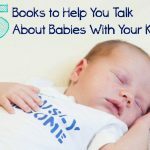 Preschoolers can practice their reading skills while still enjoying the fun noises. Stickers make everything better. At least that’s what my kids think. 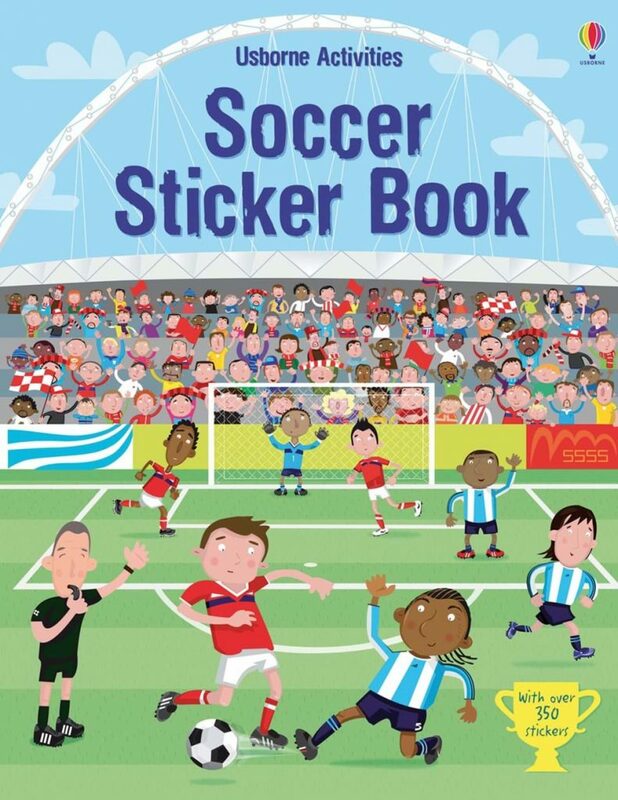 The Soccer Sticker Book contains hundred of stickers with scenes from practices all the way to the winning parade. Your kids will have a blast placing stickers and designing their own team uniforms. 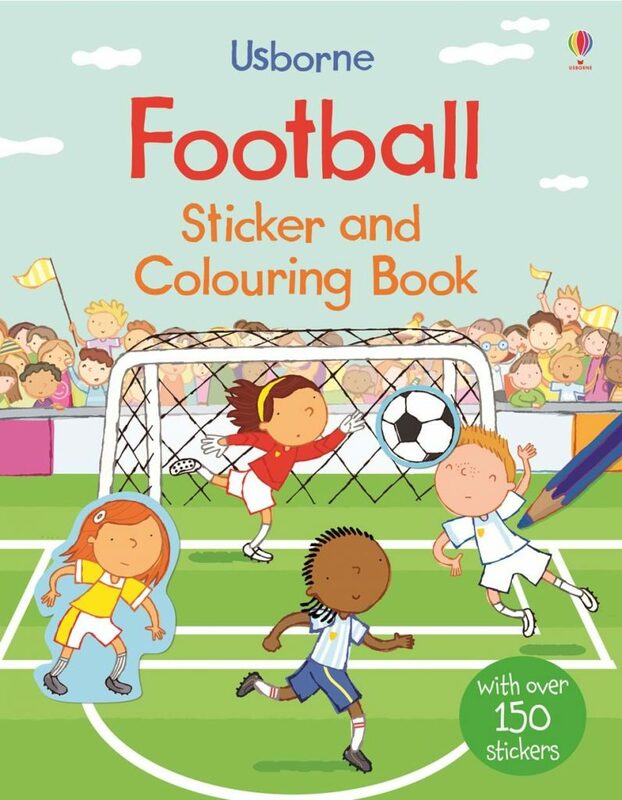 Soccer + coloring + stickers = hours of fun. In this hybrid coloring book the background is colored making the pages partially colored. Kids can focus on the characters and details instead of lots of grass and sky. Of course they can still add whatever details they desire. I think it is a wonderful balance when given to preschoolers. 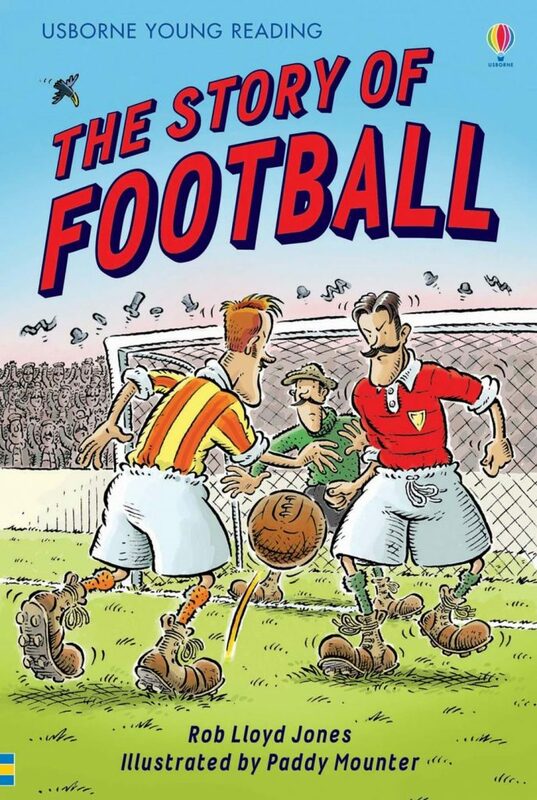 s stories was when the British and German troops played a game of soccer during the First World War. 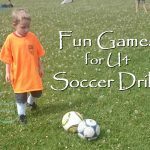 There are 10 quick links included in the book to take your soccer exploration even further. 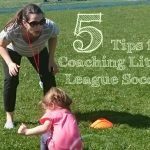 These links are perfect for a soccer fanatic or for those growing into their love of “the beautiful game”. Now the real question. Do you call this wonderful game Soccer or Football? Leave me a comment below and share where you are from.